Stranger Things is a TV show about a collection of idiot children trapped in a Frankenstein’s monster of coming-of-age movies; fighting big evil gross monster things along the way and generally learning how to be human beings. 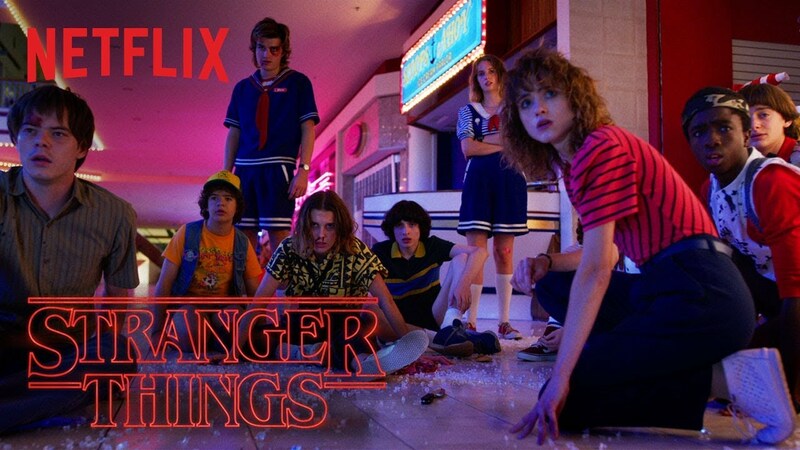 It takes all your borrowed nostalgia for the unremembered 80s and regurgitates it into neat, hour-long episodes that remind you why you pay for Netflix, or rather, why your friends’ parents pay for Netflix and you sponge off them like the scabrous creature you are. What’s occurring in the trailer, then? Looks like Steve Harrington is still a literal god, Jim Hopper is still a literal dad, and Natalia Dyer is still literally my one true love. There’s Baba O’Riley, there are funfairs, and there’s the sickly glow of neon, more neon, and even more neon. Stranger Things Season 3 is looking an absolute snack, and I am here to observe it. With my eyeballs. It’s out July 4th, and is available exclusively on Netflix.